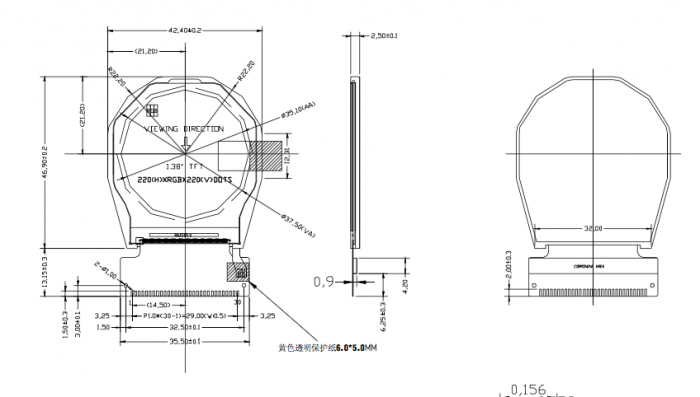 I've found an interesting project, The Pi Watch (also here) that used a relatively cheap round LCD display. There didn't seem to be too much information about this display, but I did manage to find its data sheet online. Tim, the creator of The Pi Watch has also been quite helpful regarding pin outs of this LCD, however one thing that I was missing in order to start my own project was the Eagle device library. Since I couldn't find one online, I just created my own. The download link is further down. So here's what the device looks like. I didn't bother putting all of the NC pins on the symbol to save space. I don't have the physical LCD yet (still in the mail from China) so I can't verify the measurements are correct yet. 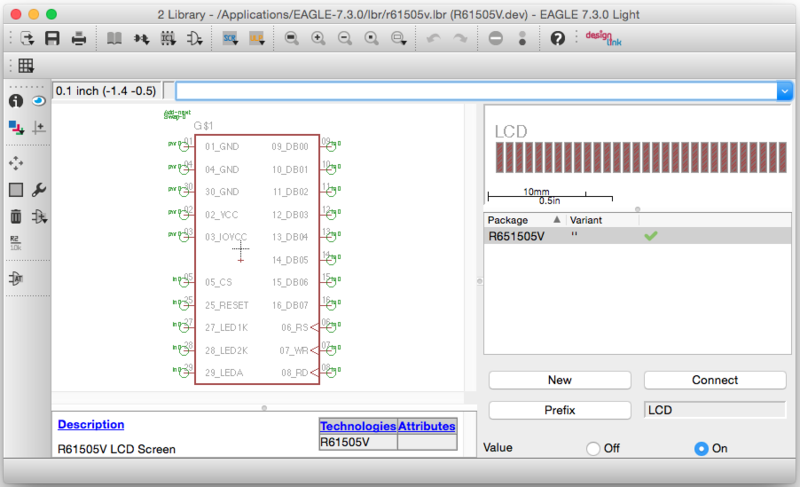 According to the data sheet, it should be right. 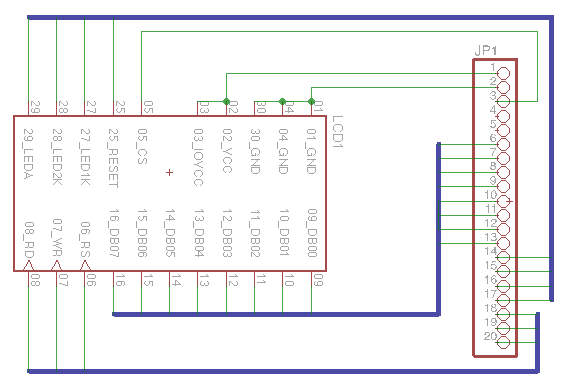 This is the pinout for the LCD from the data sheet, the pins are mapped according to their number. This is just a quick mock-up of a breakout board. Once I have the LCD in my hands I'll verify that the package fits the pins correctly. Update: The LCMs have arrived and I can confirm the device has correct dimensions. More information here.